Enjoy Plymouth, Massachusetts and Newport, Rhode Island, two of New England's best-loved cities, on this full-day trip from Boston. Visit Plymouth Plantation — a living history museum along with the Plimoth Grist Mill — and the Mayflower II, a replica of the 17th-century ship the Mayflower. 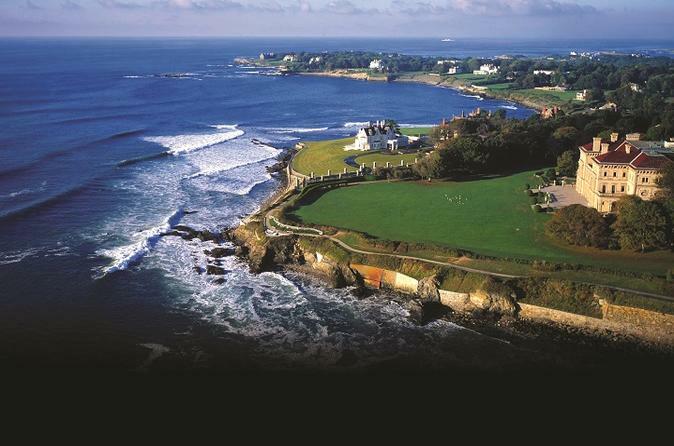 Then head to the luxurious Breakers Mansion in Newport. Round-trip transportation included. This full-day trip from Boston provides convenient access to two of New England's most-popular destinations, Plymouth and Newport. Sit back and relax on a ride out of Boston and between these two popular cities while spending a day away from the hustle and bustle. The first stop is Plymouth, MA to visit Plymouth Rock and Plimoth Plantation. Explore a 17th-century English Village, a recreation of the small farming and maritime community built by the Pilgrims along the shore of Plymouth Harbor. Visit Plimoth Grist Mill, which was built by the Pilgrims in Plymouth Colony. After more than a decade of laboriously grinding corn by hand in wooden mortars, the colony authorized the construction of a water-powered corn grinding mill on Town Brook in 1636. Discover how the 17th-century Wampanoag would have lived along the coast during the growing season. After this time in 'America's hometown,' head to America's smallest state, Rhode Island, to visit the Breakers Mansion in Newport. One of Newport's most popular mansions, it includes a 45-foot high central Great Hall and a covered, central courtyard. The rooms, decorated in French and Italian styles, were designed and assembled in Europe, shipped to the US, and reassembled in the house. The day trip will conclude with transportation from Newport back to Boston that evening. Please note that the tour price includes transportation only and does not include admission fees to Plimoth Plantation, Plimoth Grist Mill, or the Breakers Mansion. These will be purchased on site.